I'm heartily ashamed of myself, Lizzy. But don't despair, it will pass... and no doubt more quickly than it should. Mrs. Bennet: Oh, but if they are to leave Brighton, they should come to Hertfordshire and reside in the neighborhood. Haye Park might do, if the Goldings would quit it. Or the great house at Stoke, if the drawing-rooms were larger. Mrs. Bennet: Oh, no dear, not Purvis Lodge! The attics there are dreadful! Mr. Bennet: Mrs. Bennet, before you take any, or all of these houses, let us come to a right understanding. Into one house in the neighborhood they shall never have admittance. Mr. and Mrs. Wickham will never be welcome to Longbourn. Lydia: How do you like my husband, Lizzy? I believe you envy me. Was he not a favorite of yours once? Elizabeth: Not at all, I assure you. Lydia: A pity we didn't all go to Brighton. I could have got husbands for all my sisters! Elizabeth: Thank you for my share of the favor, but I don't particularly like your way of getting husbands. Oh, come, Mr. Wickham, we are brother and sister, you know. Let us not quarrel about the past. He's as fine a fellow as ever I saw! He simpers and smirks, and makes love to us all. Oh, I am prodigiously proud of him. I defy even Sir William Lucas himself to produce such a son-in-law. Jane: No, I do assure you, this news does not affect me, truly, Lizzy. I am glad of one thing--that he doesn't bring any ladies. If it is merely a shooting party, we shall not see him often. Not that I am afraid of myself... but I dread other people's remarks, Lizzy. Elizabeth: Then I shall venture none...however sorely I am tempted. After all, it is hard that the poor man can't come to a house he's legally rented without raising all this speculation. Jane: That is just what I think. Elizabeth: Then we shall leave him to himself. Mrs. Bennet: Three days he has been in the neighborhood, and still he shuns us! I say it's all your father's fault! He would not do his duty and call, so you shall die old maids, and we shall be turned out by the Collinses to starve in the hedgerows! Mr. Bennet: You promised last year that if I went to see him, he'd marry one of my daughters, and it all it all came to nothing, and I won't be sent on a fool's errand again! Mr. Bingley: You tell me now that she was in London all those months? And you concealed it from me? Mr. Darcy: Yes. I can offer no justification. It was an arrogant presumption, based on a failure to recognize your true feelings...and Miss Bennet's. I should never have interfered. It was very wrong of me, Bingley, and I apologize. Mr. Bingley: You admit that you were in the wrong? Mr. Darcy: Utterly and completely. Mr. Bingley: Then...I have your blessing? Mr. Darcy: Do you need my blessing? Mr. Bingley: No....but I should like to know I have it all the same. Mr. Darcy: Then go to it. Bingley: (To a servant) Bring me my horse at once. Quick, man! Kitty: What's the matter, Mamma? Why do you keep winking at me? What am I to do? Mrs. Bennet: Wink at you? Why should I wink at you, child? What a notion! Why should I be winking at my own daughter, pray? But now you ask, it puts me in mind. I do have something I would speak to you about. Mr. Bennet: Jane, congratulations. You will be a very happy woman. Jane: Thank you, father. I believe I shall. Mr. Bennet: And so generous that you will exceed your income. Mrs. Bennet: Exceed their income! What are you talking about? Don't you know that he has 5,000 a year?! Jane: Oh, Lizzy. If only I could see you as happy. If there were only such another man for you. Elizabeth: If you were to give me forty such men...I could never be as happy as you. Till I have your goodness, I can never have your happiness. But...perhaps if I have very good luck, I may in time meet with another Mr. Collins! Lady Catherine: You have a very small park here. And this must be a most inconvenient sitting-room for the evening in summer. Why, the windows are full west. Lady Catherine: Miss Bennet. There seemed to be a prettyish kind of little wilderness on one side of your lawn. I should be glad to take a turn in it...if you would favor me with your company. Lady Catherine: You can be at no loss to understand the reason for my journey, Miss Bennet. Elizabeth: Indeed, you are mistaken, madam. I am quite unable to account for the honor of seeing you here. Lady Catherine: Miss Bennet, you ought to know I am not to be trifled with. But however insincere you choose to be, you shall not find me so. A report of an alarming nature reached me two days ago. I was told, not only that your sister was to be most advantageously married, but that you, Miss Elizabeth Bennet, would be soon afterwards united to my own nephew Mr Darcy! Though I know it must be a scandalous falsehood, I instantly resolved on setting off for this place, to make my sentiments known to you. Elizabeth: If you believed it to be impossible, I wonder you took the trouble of coming so far. What would your ladyship propose by it? Lady Catherine: At once to insist upon having such a report universally contradicted! Elizabeth: Your coming to Longbourn to see me will be taken as a confirmation of it, if indeed such a report exists. Lady Catherine: This is not to be borne! Lady Catherine: I will not be interrupted! If you were sensible of your own good, you would not wish to quit the sphere in which you have been brought up. Elizabeth: Lady Catherine, in marrying your nephew I should not consider myself as quitting that sphere. He is a gentleman, I am a gentleman's daughter. So far we are equal. Lady Catherine: You, you have no regard then, for the honor and credit of my nephew? Unfeeling, selfish girl! You refuse to oblige me. You refuse the claims of duty, honor, gratitude. You are determined to ruin him, and make him the contempt of the world! Elizabeth: I am only resolved to act in a manner which will constitute my own happiness, without reference to you, or to any person so wholly unconnected with me. Lady Catherine: And this is your final resolve? Very well, I shall know how to act. --I take no leave of you, Miss Bennet. I send no compliments to your mother. You deserve no such attention. I am most seriously displeased. Mr. Bennet: Mr Darcy, you see, is the man. Mr Darcy of all men! Who never looks at a woman except to see a blemish! Are you not diverted? Mr. Bennet: Mr Darcy, who probably never looked at you in his life before! This is admirable! But Lizzy, you look as if you didn't enjoy it. You're not going to be missish now, and pretend to be affronted by an idle report? Elizabeth: Oh, no, no, I am excessively diverted. But it is all so strange. Well, well, what do we live for, but to make sport for our neighbors, and laugh at them in our turn? Elizabeth: Mr Darcy. I can go no longer without thanking you for your kindness to my poor sister. Ever since I have known of it, I've been most anxious to tell you how grateful I am, for my family and for myself. You must not blame my aunt for telling me. Lydia betrayed it first, and then I couldn't rest till I knew everything. I know what trouble and what mortification it must have cost you. Please let me say this, please allow me to thank you, on behalf of all my family, since they don't know to whom they are indebted. Mr. Darcy: If you will thank me, let it be for yourself alone. Your family owes me nothing. As much as I respect them, I believe I thought only of you. (Pause) You're too generous to trifle with me. If your feelings are what they were last April, tell me so at once. (Pause) My affections and wishes are unchanged. But one word from you will silence me on this subject forever. Elizabeth: Oh, my feelings... My feelings are... I am ashamed to remember what I said then. My feelings are so different. In fact, they are quite the opposite. No, I have been a selfish being all my life. As a child I was given good principles, but was left to follow them in pride and conceit. And such I might still have been, but for you. Dearest, loveliest Elizabeth! Jane: Engaged to Mr Darcy! No, you are joking. It is impossible! Elizabeth: This is a wretched beginning! If you don't believe me, I'm sure no one else will. Indeed, I am in earnest. He still loves me, and we are engaged. Jane: No, Lizzy, it can't be true. I know how much you dislike him! Elizabeth: Oh, no. It is all forgotten! Perhaps I didn't always love him as well as I do now. But.. in such cases as these a good memory is unpardonable. Jane: Dearest Lizzy, do be serious. How long have you loved him? Elizabeth: Well, it's been coming on so gradually, I hardly know. 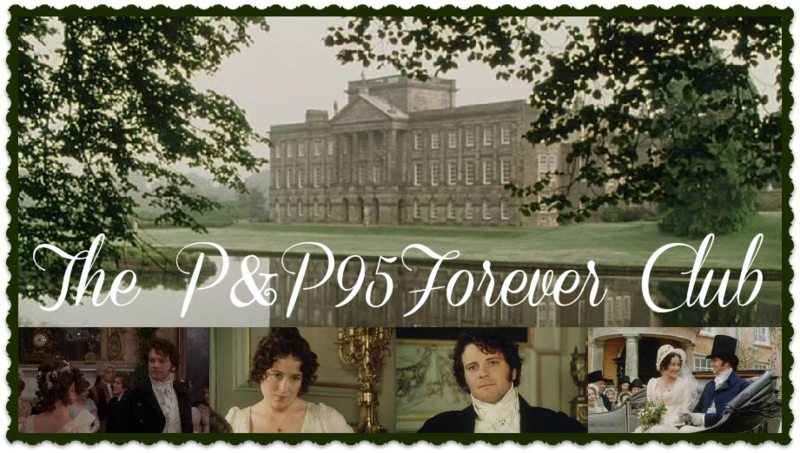 But I believe I must date it from my first seeing his beautiful grounds at Pemberley! Mr. Bennet: Are you out of your senses to be accepting this man, Lizzy? Have you not always hated him? Mr. Bennet: I've given him my consent. He's the kind of man, indeed, to whom I should never dare refuse anything. But let me advise you to think the better of it. I know your disposition, Lizzy. My child, let me not have the grief of seeing you unable to respect your partner in life. He's rich, but will he make you happy? Elizabeth: Have you objections apart from your belief in my indifference? Mr. Bennet: None whatever. We all know him to be a proud, unpleasant sort of man, but this would be nothing if you really liked him. Mrs. Bennet: Three daughters married! Oh, Mr Bennet, God has been very good to us! Mr. Bennet: Yes, so it would seem. The third one down is one of my favorites if not my favorite; I have wanted to use it on people about their way of getting boyfriends.